Pesticides prevent crop loss, increase crop productivity, reduce production costs, improve quality, and generally help farmers increase their income. Presently, food residues of pesticides seldom exceed the Maximum Residue Limits (MRLs) set by the WHO/FAO (1989) and Prevention of Food Adulteration act (PFA) (1954). 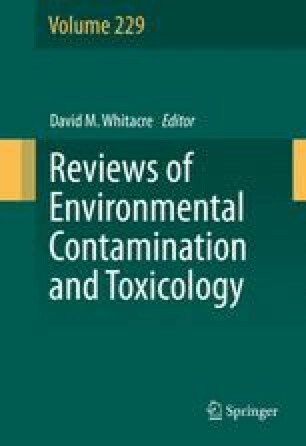 Some scientists believe that pesticide residues on fruits and vegetables that exceed their respective MRL limits (Taneja 2005) may cause health hazards to consumers (Elliion et al. 2000; Mukherjee and Gopal 2003). However, in a conference held in New Delhi on February 1–3, Sharma (2013) reported that out of 4,000 samples analyzed each year in India, only a small number (1.5–3%) exceeded the MRL value for pesticide residues. Therefore, the magnitude of any safety problem is unclear. What is clear, however, is that strict monitoring of pesticide residues in fruits and vegetables by Governmental Agencies is indispensable if any health hazard to consumers that may exist are to be curtailed.